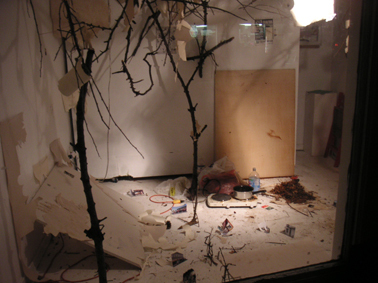 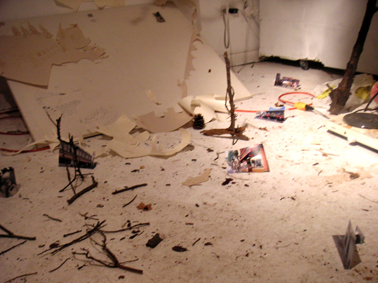 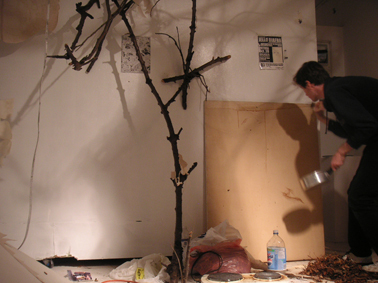 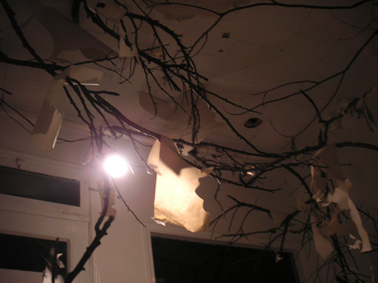 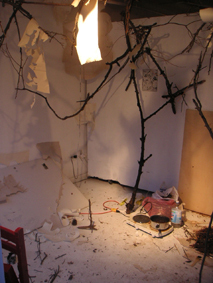 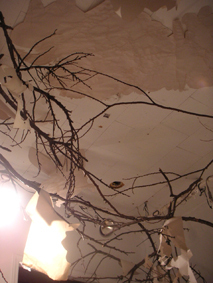 The branches in the gallery space were rearranged somewhat, with many of the branches which had previously been laying on the floor instead raised, connecting them with the branches hanging from the ceiling. 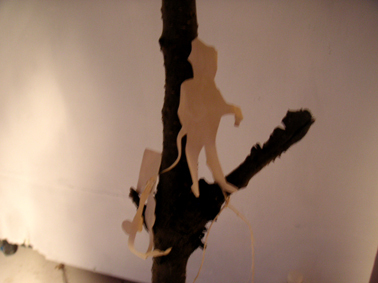 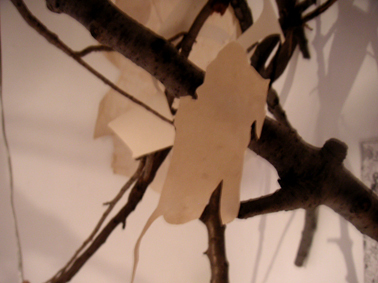 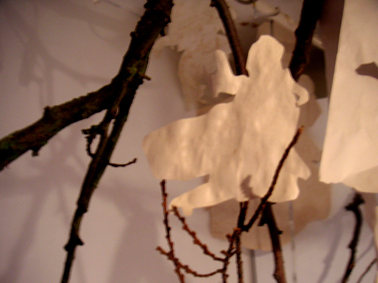 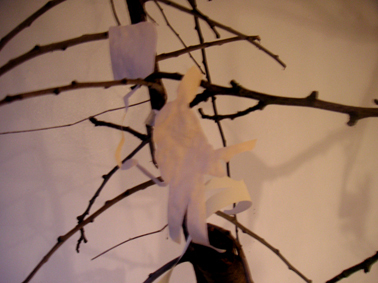 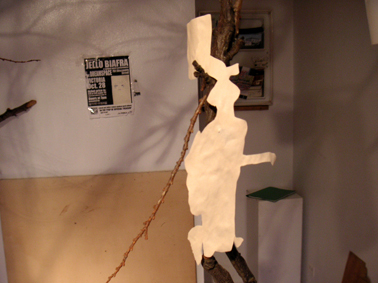 The cut-out drawings of persons playing instruments were placed among the branches. 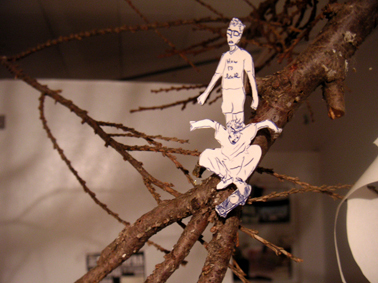 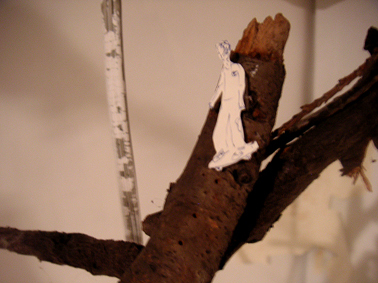 The drawing of three figures riding skateboards was cut apart, with the figures placed among the branches, and the remains of the drawing being placed on the walls of the gallery space. 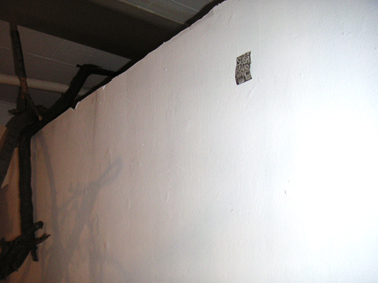 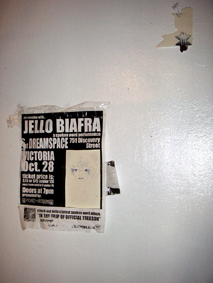 The cut-out images of punk album covers/advertisements were also removed from their previous placement on the eastern wall of the gallery and spread out on all four walls, as well as the ceiling. 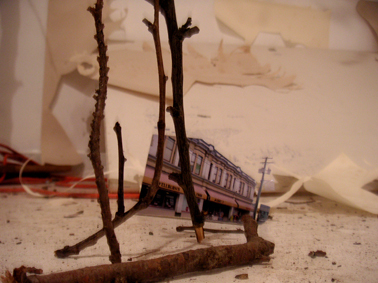 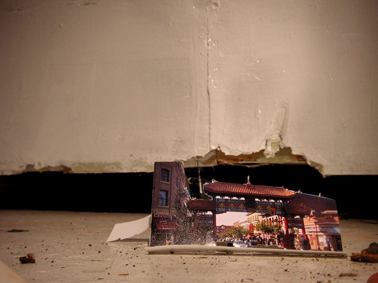 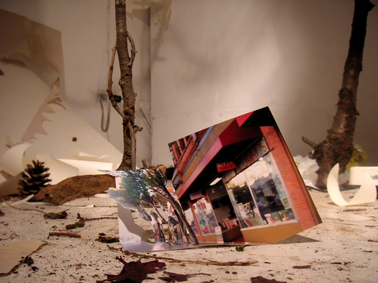 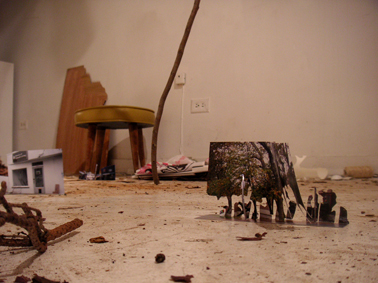 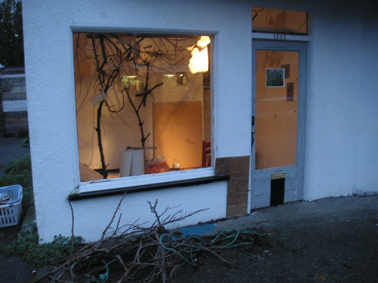 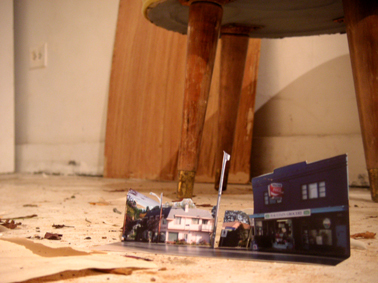 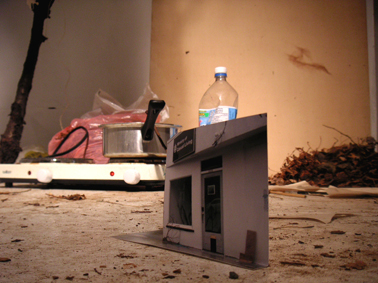 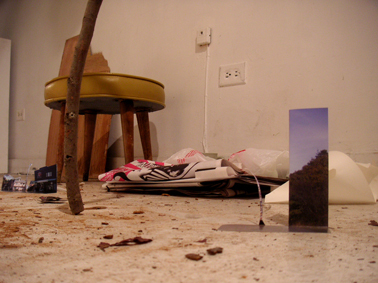 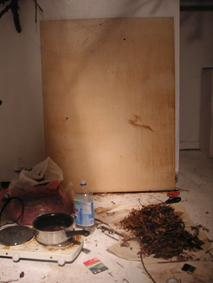 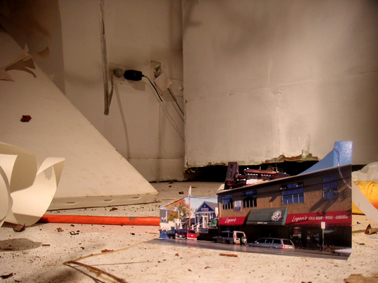 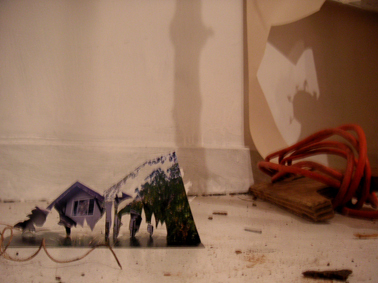 Photographs of local buildings near the vicinity of the Ministry of Casual Living gallery (including the gallery itself) were cut slightly and folded in order to make them into standing objects which were placed on the floor of the gallery. 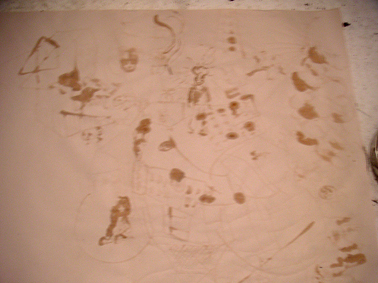 A drawing was made using the liquid resulting from the boiling of the materials taken from nature.